With the introduction of Apple Pay Cash, Apple makes it easy to have quick person-to-person money transfers, similar to apps like Square Cash or Venmo. The feature is now available for beta testers in the US via iOS 11.2 and watchOS 4.2. For the last two months, Apple has tested out the new option via its corporate and retail employees. While Apple Pay Cash did not ship out in iOS 11, it is now ready for iOS 11.2. 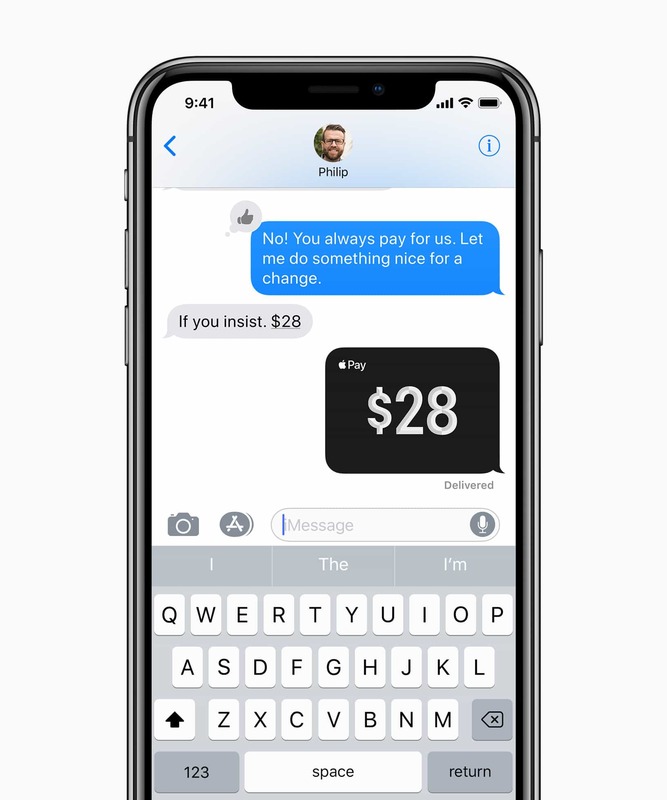 Apple Pay Cash works through the Messages app allowing you to transfer money via iMessage. Apple Pay Cash works with the iPhone as well as the Apple Watch. Watch a quick demo here. You can add cash via any debit or credit card that you have linked to your Apple Pay account. Cash that you receive is stored in an Apple Pay Cash card in the Wallet app. You can use it for purchases or send the cash to your bank account. When you make a payment using a credit card, you will incur a standard 3% fee and when you send using a debit card, there is no fee. Through a partnership with Green Dot, a company that provides prepaid Discover cards, Apple offers the Apple Pay Cash Card in the Wallet app. To use this feature, both parties (sender and receiver) must have the feature enabled and activated for use. Apple Pay Cash only works for one-to-one messages and cannot be sent to multiple people at one time or via group messages. Apple Pay Cash is also available via watchOS 42 on the Apple Watch. 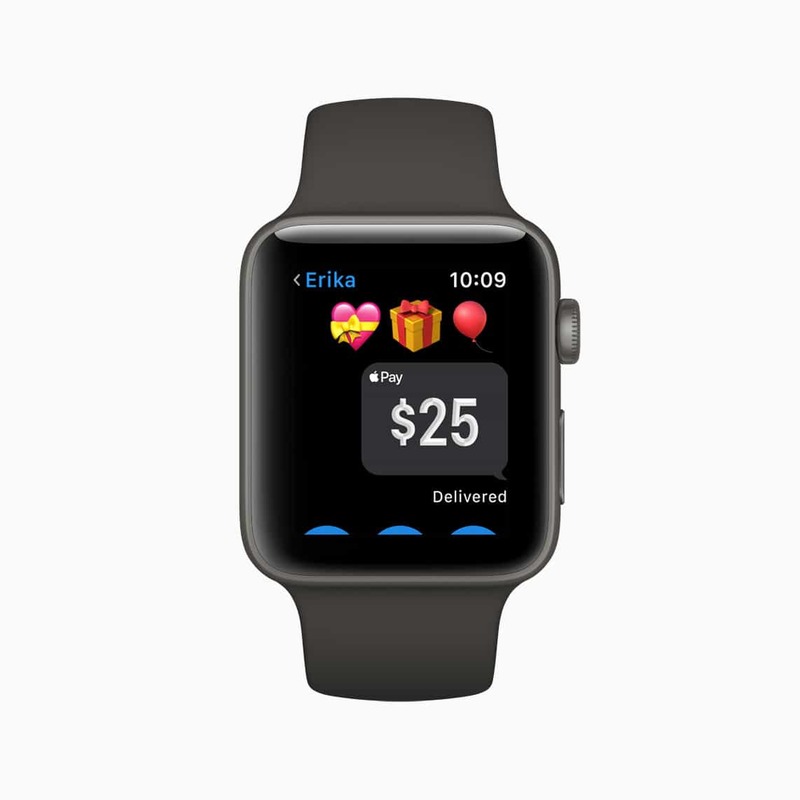 You can send cash directly from the Messages app on the Apple Watch. Currently, Apple Pay Cash is limited to the United States. 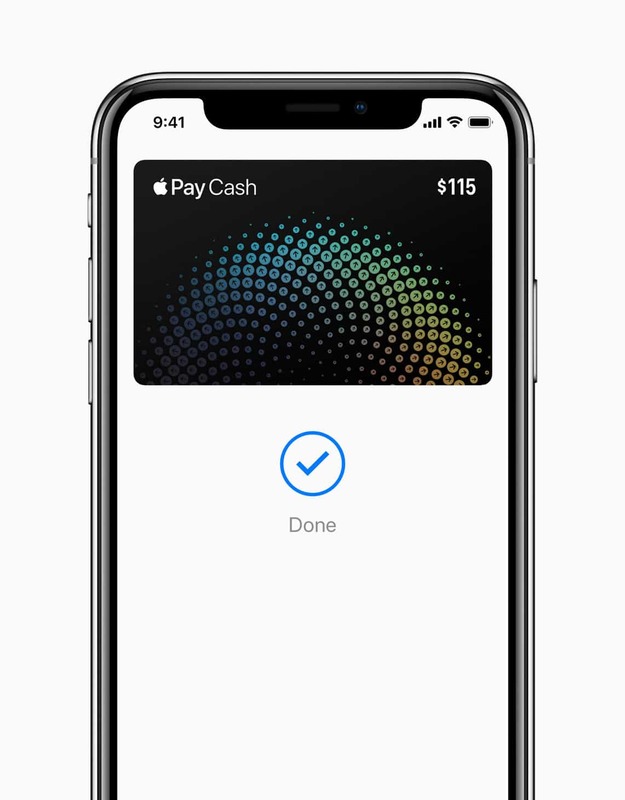 You can test out the Apple Pay Cash in beta if you are running the iOS 11.2 public beta, are using an iPhone 6 or later and have a minimum of $10 loaded on to your Apple Pay Cash and have two-factor authentication turned on.